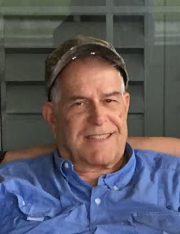 Wayne Thomas Dicks, 75, of Union County, passed away on Tuesday, September 11, 2018 at the North Florida Regional Hospital in Gainesville following a sudden illness. He was born in Columbia County to the late Park Trammell Dicks and Evelyn Moore Dicks. Mr. Dicks was raised in Chiefland, Florida and was a graduate of the 1960 class of Chiefland High School where he lettered in track, basketball and football. He was a resident of Lake City since 1966 and had recently moved to Union County. Mr. Dicks owned and operated Wayne’s Barber Shop in Lake City for 41 years, retiring in 2001. Wayne obeyed the gospel in February of 1982 and was a member of the Glen Springs Church of Christ in Gainesville. He was a true southern gentleman and enjoyed gardening, woodworking, riding horses, working his cows, and above all, spending time with his family. Survivors include his wife of 55 years, Betty Lene Henderson Dicks, Lake Butler; one daughter, Dawn Melinda Dicks, Lake City; one son and daughter in law, Wayne Trammell and Roslyn Dicks, Lake Butler; six grandchildren, Thomas Lindboe, Lake Butler, Jason Lindboe, Lulu, Dakota Lindboe (Amanda), Fort Bragg, NC, Trammell Dicks and Park Dicks both of Mary Esther, FL and Hillary Dicks Carew (Travis), Bartow; eight great grandchildren, Brantlee Dicks, Waylon Dicks, Kenlie Lindboe, Ally Lindboe, Ethan Lindboe, Paisley Lindboe, Kayla Lindboe and Gracelynn Carew; two sisters, Laveenia Dicks Elder (Kent) and Dorothy Dicks Feagle (Aldine) both of Lake City; several nieces and nephews as well as all the boys who’s hair he cut during his 41 year career at Wayne’s Barber Shop. Memorial services will be conducted on Friday, September 14, 2018 at 11:00 AM in the Gateway-Forest Lawn Memorial Chapel with Minister Phil Robertson of Glen Springs Church of Christ, officiating. Visitation with the family will be one hour prior to the service at the funeral home from 10-11:00 AM. In lieu of flowers, memorial contributions may be made to Haven Suwannee Valley Hospice Care Center, 6037 W US Hwy 90, Lake City, FL 32055. Arrangements are under the direction of GATEWAY-FOREST LAWN FUNERAL HOME, 3596 S US Hwy 441, Lake City, FL 32025. 386-752-1954 Please leave words of comfort for the family at www.gatewayforestlawn.com.